On August the 25th and 26th, LHK Polo were in Waterford to play in the Edwuardo Abaracine Cup. We won on the Saturday against Bishopland Polo with 6-2, but unfortunately on the Sunday lost out to Ritz Polo 6-3. We were back at the All Ireland Polo Club in Dublin on the 1st and 2nd September for the Freebooters Cup. This was an American tournament and on the first day we won 4-1 against El Nino and lost by one goal to Tyrone Polo 3-4. On the Sunday we won against Pegus Polo 3-2, but lost to El Nino 4-5. The ponies have been playing brilliantly and have kept all their energy in what has been a long hard season for them. The scores from all the games are very close and unfortunately in polo you can win or lose a game in the last few minutes. 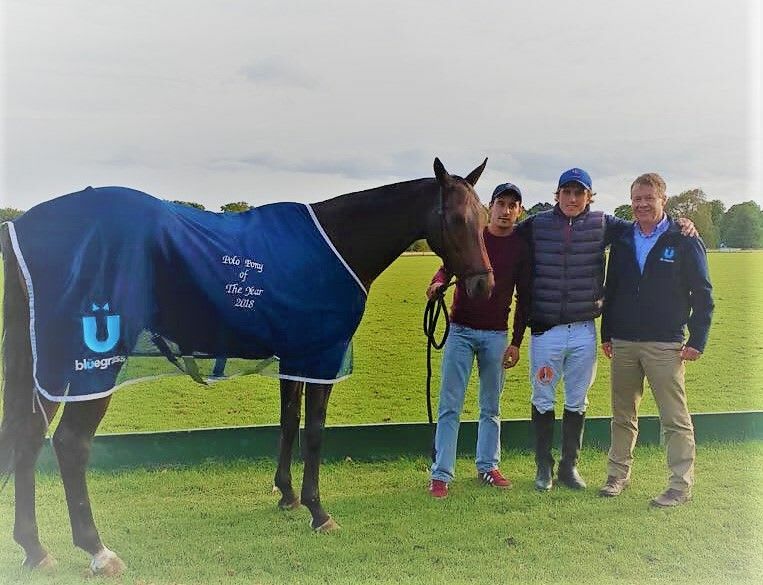 The ponies played in an exhibition match for the Argentine Cup on 7th September at the All Ireland Polo Club which was won by Argentina. The final tournament in Dublin was the Pakistan Cup on 8th and 9th September. The first day was an American tournament. Unfortunately for LHK we lost by 3 goals against Horseware and by 1 goal against Pegus Polo and were into the subsidiary final on Sunday. This was a tough game where we played against Tyrone and the score was very tight for the whole game. It was however one of those games where we lost out in the final moments with a final score of LHK Polo 4 – Tyrone Polo 5. We were however able to have Craig from Bluegrass with us for the day and he was able to present Polo Pony of the Year to the best pony in the final. This was won by Richard Le Pour who had flown over from England to play in the Pakistan Cup. The final tournament of the season for us was in Wicklow. This was played over two days and our final scores of 4-5 against Ritz and 10-3 against El Nino, however these were not enough for us to claim the final but we were runners up which was a nice way to end the season. This season hasn’t been as successful for us as previous years but the scores have been tight in every game and it shows the level of polo in Ireland is increasing and that teams are all very evenly matched. The sport is highly demanding on the ponies and without Bluegrass feed to maintain their condition and stamina our ponies wouldn’t have been fuelled for the season and the success we have had with them. We will continue over the winter months to train up new ponies and play some arena polo and will be back next year to start up for the 2019 season. We hope that some of you have come to watch the polo this year and an enormous thank you to Ashley, Craig and all of the team at Bluegrass.